The third weekend in September saw the B.C. 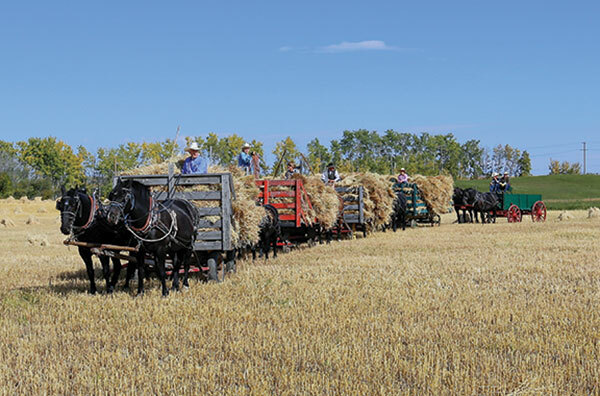 threshing crew up in the Fort St. John area harness up and head out to bring in the crop. This evolving crew of teamsters pride themselves on the whole harvest, from seeding to threshing — and even the annual hay crop — is done with original horsepower. Once a common sight on the prairies, today threshing crews are as rare as folks that know how to run a separator. However, these days it seems that wherever two or more teamsters gather, someone will suggest a horse-drawn harvest.